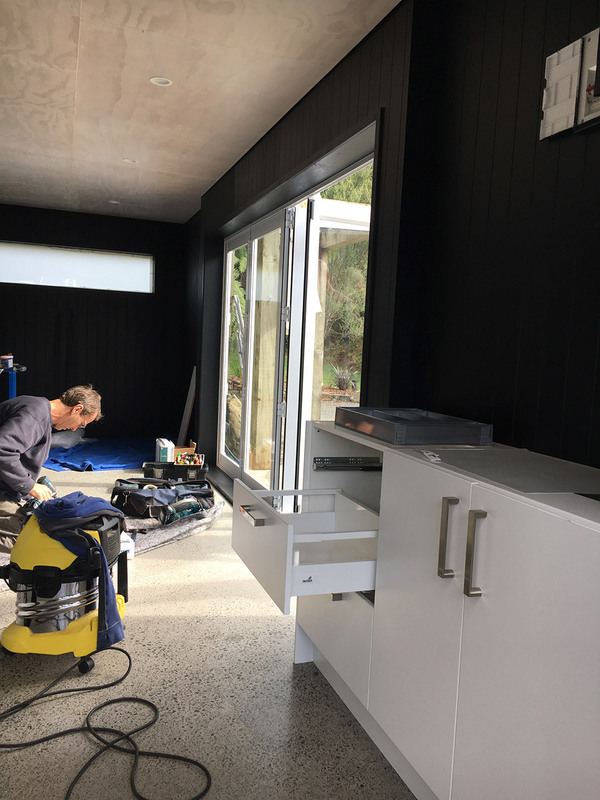 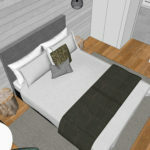 In the space of just 4 weeks, Ernst and Gary disassembled the existing kitchen/lounge and transformed it into an area that really does have the “wow -factor”. 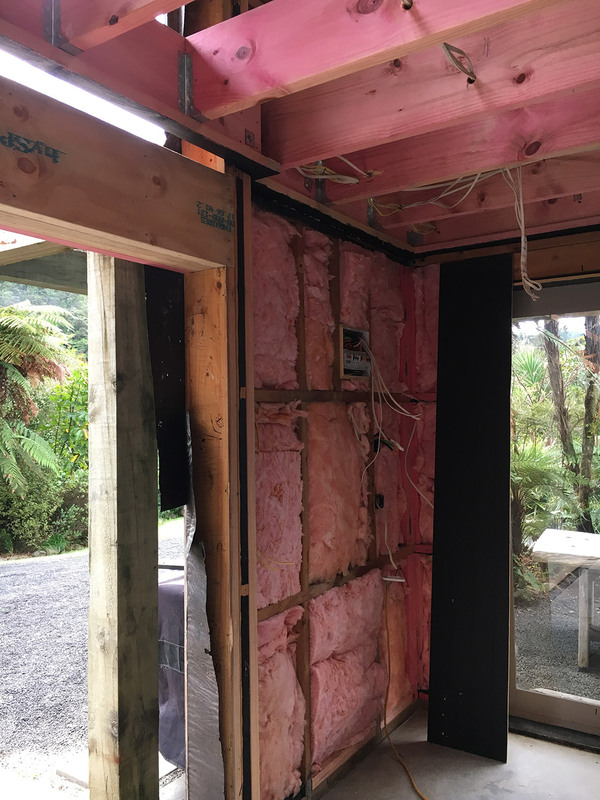 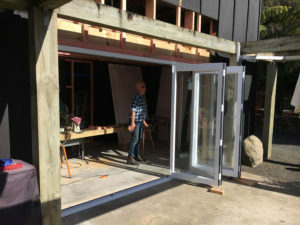 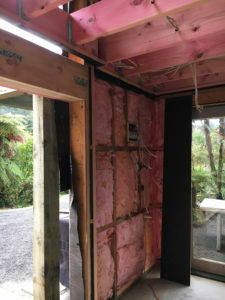 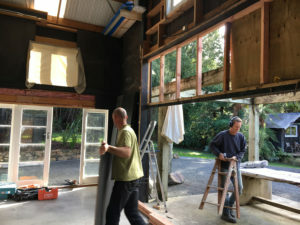 The room has been extended and a new opaque glass window was added onto the back wall and new bi-fold doors which open out onto the outdoor patio space were installed. Working with the interior designers from “PocketSpace Interiors”, we have optimised the space in the kitchen by increasing the bench space and adding a bespoke oak table which cleverly divides the room into two spaces, kitchen and lounge. 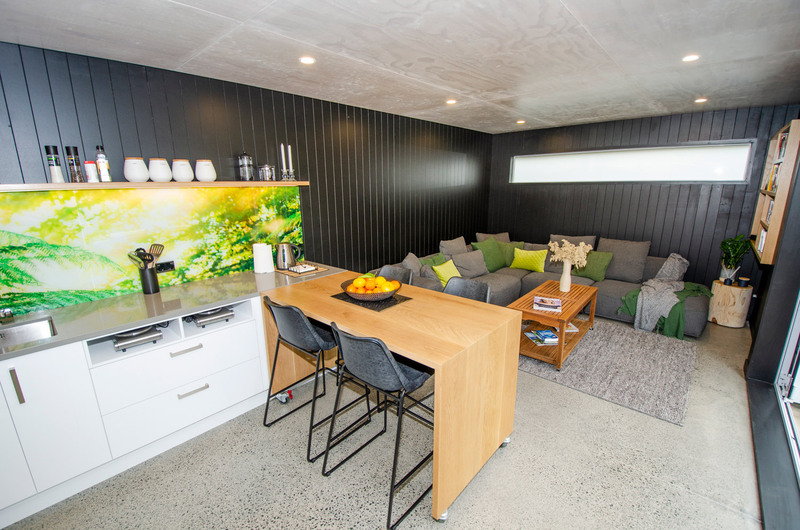 The rainforest splashback is a great feature – bringing the outside in! 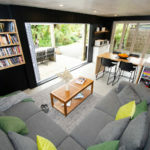 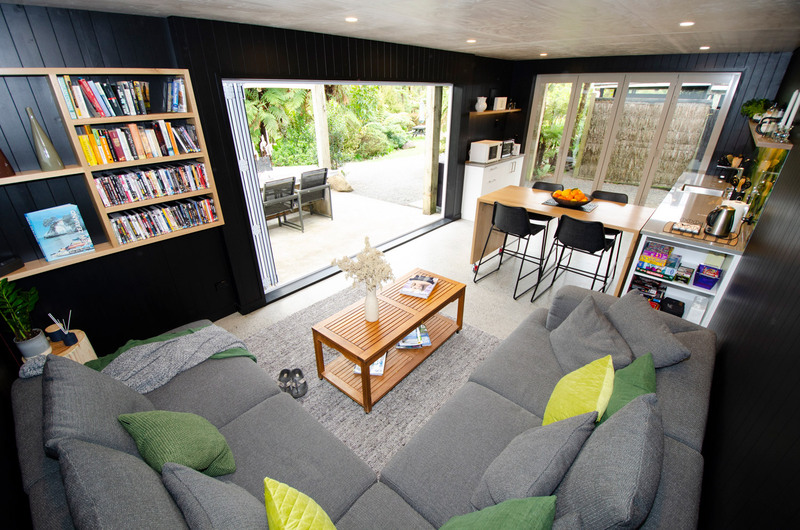 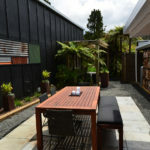 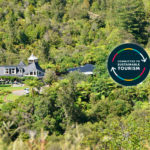 New furniture and lots of cushions make the lounge space a really comfortable place to sit and enjoy the peace and tranquillity of Wairua Lodge or to get together with fellow guests for a drink and a chat.